The Tennessee Trail of Tears Association will hold a commemorative walk on Saturday at 11 a.m. at the Blythe Ferry Cherokee Memorial Removal Park in Birchwood, Tn. The walk is to remember those who crossed the Tennessee River at Blythe’s Ferry during the forced removal of the Cherokees in 1838. "Blythe’s Ferry is named for the original owners, William Blythe and his Cherokee wife, Nancy Fields Blythe. The Blythe family operated the ferry on the Tennessee River in Meigs County from 1809 until 1838," officials said. "The ferry was located on the Tennessee River in Meigs County. In 1836, William Blythe’s possessions included 13 cabins, three slave cabins that housed 13 slaves, 12 stables, a blacksmith shop, a mill, two ferries and over 2,000 fruit trees. "Blythe’s Ferry has been recognized as one of the state’s most important landmarks on the Trail of Tears. In 1838, nearly 10,000 Cherokees with their 3,868 horses, 490 wagons and slaves crossed the Tennessee River leaving their homelands to relocate to the West. In addition to the Cherokees, several hundred Muskogee Creeks crossed the Tennessee River at Blythe’s Ferry. "The 10 Cherokee Detachments that crossed at Blythe’s Ferry were led by Hair Conrad, Elijah Hicks, Jesse Bushyhead, John Benge, Situwakee, Old Field, Moses Daniel, Choowalooka, George Hicks and Peter Hildebrand. "The last and largest Cherokee detachment that crossed the river at Blythe’s Ferry was led by Peter Hildebrand. The emigrant group consisted of 1,700 Cherokees that left southeastern Bradley County and arrived at Blythe’s Ferry on Nov. 10, 1838. It took almost two days for the large group to be ferried across the river by four boats." The short program will begin at the cabin at the Cherokee Memorial Removal Park at 11 a.m. 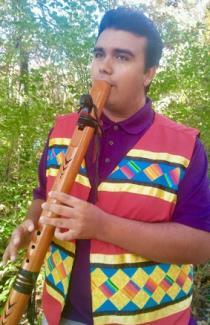 The program will include music by flutist Kyle Coatney from Knoxville and songs in both Cherokee and Creek languages. Educational displays of archeological items will be presented by TVA. Informational booths about the Trail of Tears will also be on display. The program will conclude with a walk from the cabin to the Tennessee River where memorial wreaths will be placed by representatives of the Cherokee and Creek nations. The public is invited to attend the program and participate in the walk. This event is free and open to the public and will be held rain or shine. Blythe Ferry Cherokee Memorial Removal Park is located at 6615 Blythe Ferry Lane, Birchwood, Tn. For more information contact Debbie Moore at bradleyfolks@aol.com or follow TN Trail of Tears Association on Facebook.